Since publication of the first edition in 1974, Leo Braudy and Marshall Cohen's Film Theory and Criticism has been the most widely used and cited anthology of critical writings about film. Now in its seventh edition, this landmark text continues to offer outstanding coverage of more than a century of thought and writing about the movies. Incorporating classic texts by pioneers in film theory--including Rudolf Arnheim, Siegfried Kracauer, and André Bazin--and cutting-edge essays by such contemporary scholars as David Bordwell, Tania Modleski, Thomas Schatz, and Richard Dyer, the book examines both historical and theoretical viewpoints on the subject. Building upon the wide range of selections and the extensive historical coverage that marked previous editions, this new compilation stretches from the earliest attempts to define the cinema to the most recent efforts to place film in the contexts of psychology, sociology, and philosophy, and to explore issues of gender and race. Reorganized into eight sections--each comprising the major fields of critical controversy and analysis--this new edition features reformulated introductions and biographical headnotes that contextualize the readings, making the text more accessible than ever to students, film enthusiasts, and general readers alike. The seventh edition also integrates exciting new material on feminist theory, queer cinema, and global cinema, as well as a new section, "Digitization and Globalization," which engages important recent developments in technology and world cinema. 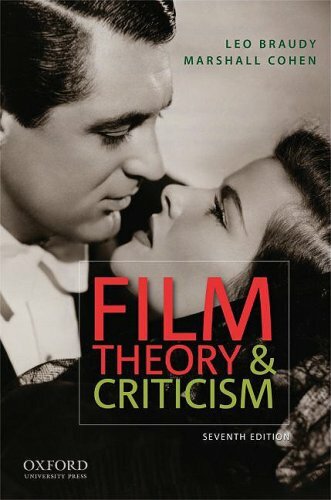 A wide-ranging critical and historical survey, Film Theory and Criticism remains the leading text for undergraduate courses in film theory. It is also ideal for graduate courses in film theory and criticism. Leo Braudy is University Professor and Bing Professor of English at the University of Southern California. Among other books, he is author of Native Informant: Essays on Film, Fiction, and Popular Culture (OUP, 1991), The Frenzy of Renown: Fame and Its History (OUP, 1986), and most recently, From Chivalry to Terrorism: War and the Changing Nature of Masculinity (2003). Marshall Cohen is University Professor Emeritus and Dean Emeritus of the College of Letters, Arts, and Sciences at the University of Southern California. He is coeditor, with Roger Copeland, of What Is Dance? Readings in Theory and Criticism (OUP, 1983) and founding editor of Philosophy and Public Affairs. By Mast, Gerald/ Kawin, Bruce F.